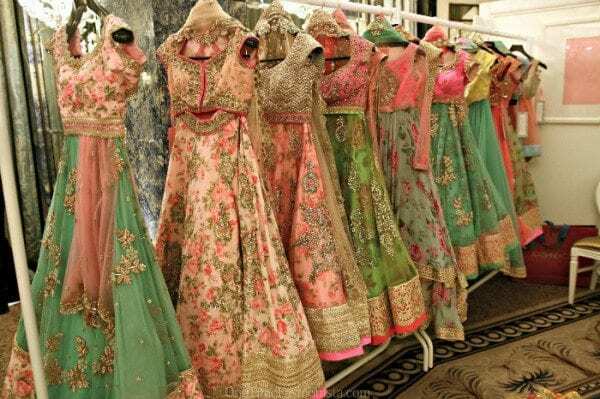 Anushree Reddy Of Flowers and Pastels : Anushree Reddy’s Beautiful Creations! Of Flowers and Pastels : Anushree Reddy’s Beautiful Creations! 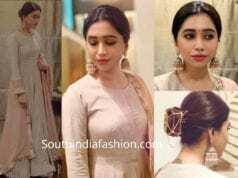 Among all the labels that were created by Hyderabad’s fashion designers, there is one label that celebs all over the country seem to have fallen especially in love with and that is Anushree Reddy. With a subtle romantic touch to them, her pastel-coloured lehengas, anarkalis and sarees are all filled with flowers and some beautiful stone and zardosi work. Barely out of her 20’s, Anushree Reddy based from Hyderabad is a graduate from the London School of Economics. She loved everything that was designer and was an avid shopper, but designing wasn’t really the career path that she had in her mind until she took up a job as a fashion editor for a magazine. Once she decided to design however, in the year 2010, she very quickly earned fame, climbed up the ladder with her very first show being LFW 2013. Dreamy Lehengas, Sarees and Gowns mostly with floral motifs and zardosi work dominate her creations. They are seldom made in bright colours and are mostly in pastels – a rosy shade of baby pink, a very light shade of olive green, in rare cases light sky blue. With gorgeous work woven on these flowy clothes, they are perfect for party or wedding wear. Here are a few of her amazing creations that were displayed at the LFW through the past three years. When it comes to making some fascinating, dreamy, bridal lehengas, no one can beat Anushree Reddy’s designs…. 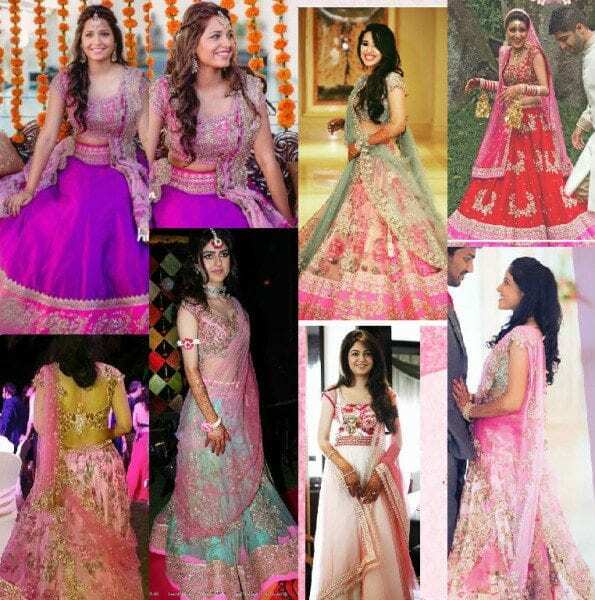 Celebrities and actresses have often worn Anushree Reddy’s creations and looked stunning in them. Every time actresses decide to go desi on the red carpet, it is this very label that they seem to be opting for lately. 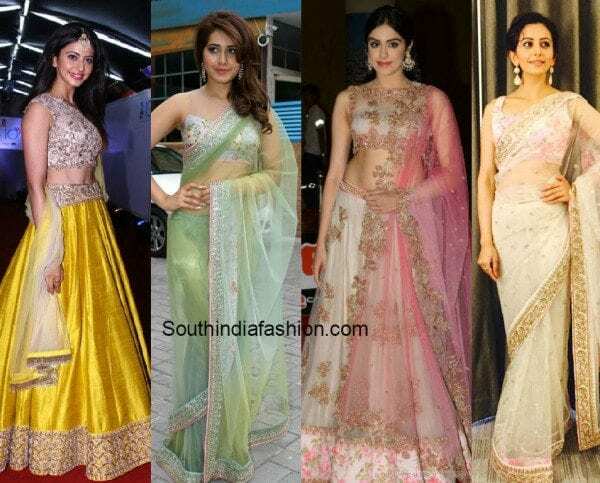 Here are a few times that Indian actresses shone on in Anushree Reddy’s creations. Anushree Reddy’s clothes can be shopped for at some of the high-end boutiques in Hyderabad like ‘Elahe‘, ‘Angasutra‘ and ‘Anahita‘. 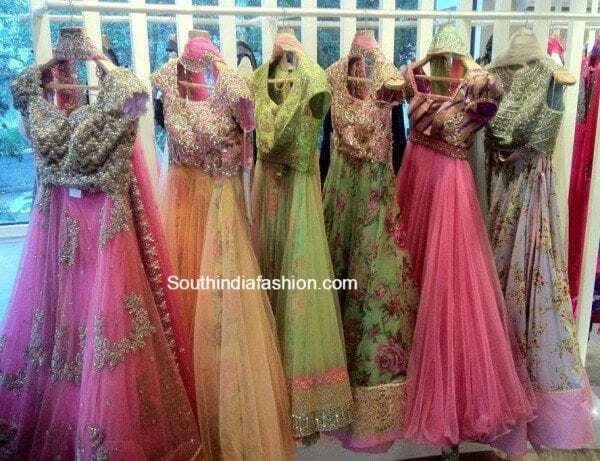 Ensemble store in Mumbai has Anushree Reddy’s collection. 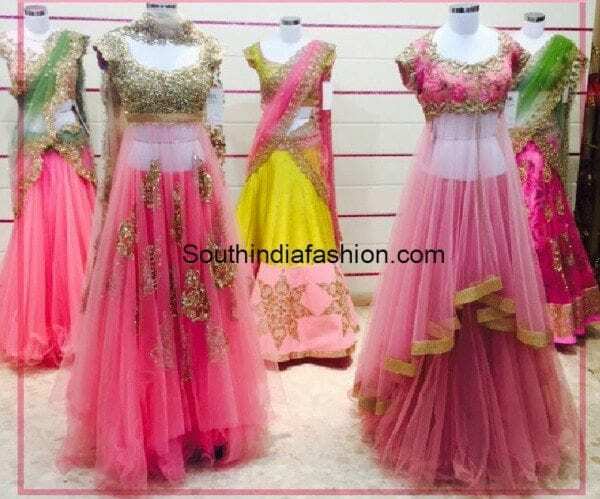 You can also shop Anushree Reddy collection online from jivacouture.com. Excellent dress collections…it’s really very nice….